Please see below our MOA that we ask all approved members of the Child, Youth and Family Services Coalition of Simcoe County to sign. If you are interested in becoming a member please click here for our application. 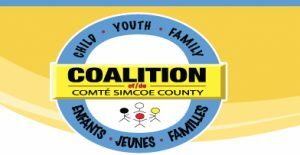 The Child Youth and Family Services Coalition (Coalition) of Simcoe County is a collaborative entity designed to increase the effectiveness of the service delivery system in Simcoe County for children, youth and their families. As an unincorporated entity, the Coalition has no binding power over its members but exists to better coordinate their collective efforts to serve children, youth and their families. Council derives its influence from Coalition members and works through persuasion and consensus. It is essential that Coalition members continue to invest in the mission of the Coalition and to see their own interests and those of their clients well served by Coalition initiatives. The purpose of this Memorandum of Association (MOA) is to clearly define the structure, decision making authority and scope, fiscal responsibility and membership rules of the Coalition. Legal counsel has advised that the Coalition should clarify these issues in an MOA if it chooses to remain an unincorporated entity. In addition this MOA contains a Schedule on Integrated Working that outlines how Coalition members can work more closely together to provide a more effective service system for children, youth and their families. Vision All children, youth and families thriving in a strong, nurturing community. 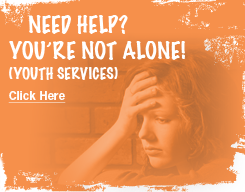 Mission To maximize the capacity, effectiveness and cultural uniqueness of the child youth and family service system through collective efforts. Integrity: We demonstrate honesty, transparency and fairness in everything we do as a Coalition. Respect: We treat each other with mutual consideration and sensitivity, recognizing the importance of diversity and inclusion. Collaboration: We work together through our Values to accomplish our Vision and Mission. Coalition Council (40+ members) Made up of members of the Coalition who support the Coalition’s vision, mission and values, pay annual sliding scale fees, and designate an executive staff person to represent them at Council meetings five times a year. Primary decision-making body re. policy, planning and budgeting. Takes guidance from Secretariat, Infrastructure and Planning which it has empowered to research, discuss and make recommendations in the areas noted below. Provides oversight & leadership to Coalition, ensuring alignment of Coalition with its overall Strategic Plan. Approves and monitors annual budget. Creates a forum for information-sharing, networking and education/inspiration of members. Executive Committee (9 members) Made up of the Coalition Chair, Vice Chair and Past Chair, Treasurer, Advocacy/Government Relations Officer, Communication Officer, Capacity Building Officer, Member Relations Officer and Integrated Planning Table Representative. Creates the support systems and manages the processes that enable the Coalition to achieve its strategic outcomes. Develops, implements and maintains systems to enable the Coalition to conduct business. Provides a forum for discussion and recommendations to Council. Ensures ongoing leadership of Coalition Council and Integrated Planning Table. Demonstrates outcomes to support strategic objectives. Recruitment and recommendations for retaining contracted services. Efficient budget and financial management. Manages member relations, communications and advocacy. Reviewing new initiatives from funders and all levels of government, identifying local impact and opportunity. Providing feedback and support to proposals to align with the Child Youth and Family Services Coalition (Coalition) of Simcoe County’s principles and priorities. Identifying gaps in services for children, youth and families in Simcoe County, facilitating discussion and developing an action plan to address the gaps. Identifying new opportunities for collaboration, supporting coordinated efforts amongst system partners and making recommendations for new projects or proposals to Coalition Council for approval or endorsement. Providing feedback and recommendations to projects or initiatives that are seeking support to align with Coalition priorities. Developing processes for cross sectoral protocols and pathways to service. Committing to system planning that incorporates the needs and goals of all children, youth and families, and includes the voice of lived experience as integral to system planning. Committing to system planning that is inclusive in that programs and services are accessible and responsive to children, parents and caregivers with varying abilities and cultural, race, colour, language, socio-economic, sexual orientation, gender identity, gender expression, and religious backgrounds. Programs and services are accessible and culturally responsive in accordance with the tenents of the Ontario Human Rights Code, with a specific focus on Indigenous, Francophone children and immigrant children, youth and families. Since the Coalition is not an incorporated body, it cannot own property, undertake contracts, sue or be sued, or protect its members or Council from personal liability in the unlikely event of a law suit. With regard to fiscal responsibility, the Coalition must work with a member organization which is willing to act as a trustee for any funding it receives or any contracts it undertakes, including arrangements with contract staff. Within this context, the Council has responsibility for the adoption and monitoring of an annual budget developed by Coalition contract staff in consultation with the Treasurer and Executive Committee. Staff are responsible for bookkeeping and reporting to the Executive Committee and Council, in consultation with the Fiscal Trustee. The Trustee organization will receive, manage and disburse funds, and undertake contracts, on behalf of the Coalition. eligible Coalition members are not-for-profit or public organizations that serve children, youth and their families (excludes for profit organizations or individuals), apply to Infrastructure for membership, support the Coalition vision, mission and values, pay sliding scale fee ($100-8,000 plus $100 Council meeting fee) based on portion of budget devoted to children & youth services in Simcoe County. local funders are invited to sit as full members on Council, pay fees and may vote as well as signing this MOA; provincial ministries cannot become full members. coordinators of key initiatives that are aligned with the Coalition’s top priority goals may be invited to sit on Council for the duration of the initiative (no fees and no vote). fulfill mandate and influence programming across the region. represent the Coalition perspective and speak with one voice on issues of importance to the whole. 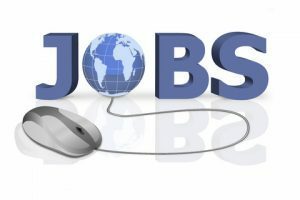 support and advocate for positions that have been developed by the Coalition. be willing to support others in advocating for specific programs, positions or issues of relevance to that member organization alone. On a matter of principle, a member organization may not agree with all decisions being made by the Council or its Tables. The organization has a right to withdraw from participating in such decisions yet still remain part of the Coalition. The organization’s representative may wish to have their difference noted in the minutes and recuse themselves from the discussion. This schedule defines guiding principles and key elements of integrated working among Coalition member organizations when working with common clients and families. It is also a platform upon which accountability agreements are based for specific initiatives that require sustained service coordination/integration and ongoing integrated working among Coalition members. The most streamlined, and least intrusive service delivery model is used. Coalition members focus integrated working on children, youth and families who are at high risk of poor outcomes, are living in or at risk of living in environments of compromised care, or for whom the universal and first stages of intervention by a single provider are not sufficient to meet the needs of the child or family. Integrated working is a continuum from simple to intensive coordination; the intensity of integrated working is based on the needs of the child/youth/family and the team members. Services and supports (formal and informal) should be culturally appropriate, and reflect family values, priorities, strengths, and preferences. Joint work and coordination builds on and blends the mandates of all participating organizations so that a comprehensive approach can be developed for a child/youth/family that requires it. Each participating organization’s systems of accountability and responsibility remain separate but the manner in which participants deliver care and service is aligned wherever possible to minimize the family/child’s experience of fragmentation, duplication of effort and documentation, and to streamline care delivery. Coalition members’ staff adheres to their professional code of ethics regarding responsibility to children and families and overall professional representation, including the legislated requirements related to privacy, consent and duty to report. Integrated working is based on a team approach that requires members from various organizations to come together with knowledge and respect for each other’s roles, knowledge and mandate, and to develop a common understanding of the child’s and family’s needs and strengths. The plan that is developed as a result focuses on outcomes related to the child’s safety, healthy development and wellbeing. The team approach uses a systematic way of gathering and analyzing information in order to understand and record what is happening to children within their families and the wider context of the community. This leads to decisions about their needs, what actions to take and which services best meet the needs of this particular child and family. The team gathers and evaluates information for a holistic understanding of the child and family’s strengths and needs within their environmental context, using a mix of tools to gather, analyze, and cross-check information prior to developing a plan. The team approach differs from traditional service delivery in that it holds team members from multiple agencies equally accountable for promoting the welfare of the child or youth that is at the centre of the plan. This shared way of thinking and understanding is likely to improve outcomes through a more efficient, creative, strength-based interagency assessment, planning and service delivery process. use of common tools and frameworks that facilitate a common language and holistic, evidence-based approaches among Coalition members. Leadership and an Oversight structure. The problem is clearly identified by the party(s) involved. A discussion occurs between the individuals involved to address possible solutions. Problem resolution occurs by building consensus on most acceptable solution, if possible. Communication occurs with the supervisors of the individuals involved. The ‘team lead’ supports the family using existing mechanisms (e.g. documentation, written correspondence, verbal communication). In the event of continued conflict between the family and the care providers, a change in care providers may be considered if possible. In the event of unresolved conflict between the family and the lead or care provider, a case conference is arranged (may be initiated at request of family, ‘lead’ and/or another team member). In the event of unresolved conflict between the staff and/or organizations, senior management of the respective organizations become involved.